A friend recently placed an order with David’s Tea and I couldn’t resist getting a few more to try. I’m always asked about unflavored teas, so I decided to try David’s Breakfast Tea. 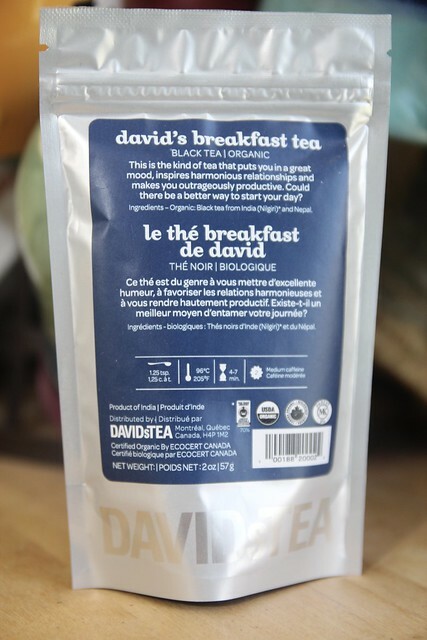 From the ingredients list, David’s Breakfast Tea contains organic black tea from India and Nepal. It comes in multiple increments of 2 oz. for $8.98 per 2 oz. When I first opened the package I got a bit of a smoky aroma. I brewed it nice and hot, with just a touch of sugar. 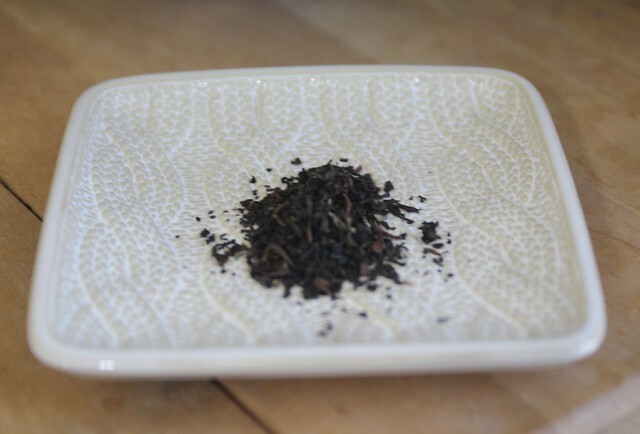 It was definitely smoky, but it was still super smooth and not terribly bitter like some black teas can be. I enjoyed it with a slice of banana bread and it was a good kick start to my day.